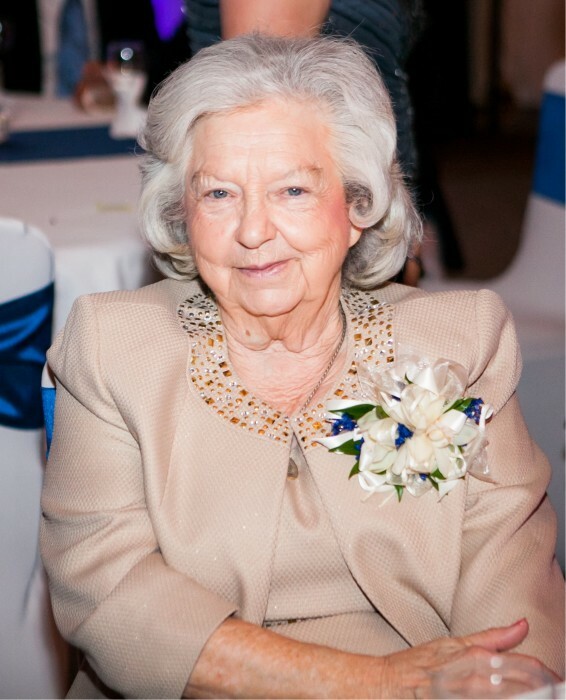 Ann Moody, devoted wife, loving mother, grandmother and great-grandmother, passed on to her eternal rest on November 17, 2018. She was 86. Ann was the embodiment of the American Dream. Born in Pennsylvania, on October 23, 1932, Ann was a first-generation American, the daughter of Ukrainian immigrants. Upon graduating from high school in Doylestown, Pennsylvania, Ann answered the call to serve her country by enlisting in the United States Marine Corps. While the decision to serve her county was commendable in and of itself, it is what happened during her time in the service that would change her life forever. While stationed during her service, she met a tall, handsome man from El Ranchito, Texas, named Gene Moody. Gene asked Ann out on a date, and it was the first night of a love story that lasted more than 50 years. With their service to their country having ended, Ann and Gene moved to San Benito, Texas, to continue living the American Dream. Starting a young family in San Benito, Gene set out to build a supermarket business, and Ann lovingly supported him throughout. Together, they built a thriving business and the City became their family, as many community members worked with them in building their business. Customers at any of the Moody’s Supermarkets in San Benito would not only find Gene working hard at his business, but Ann, and their children, and later, grandchildren, could be found there too, doing anything and everything that the store required. To this day, people who worked and shopped at Moody’s remember the care and warmth with which they were greeted by the Moodys, and all of that came from Ann. None of that would have been possible without the love, devotion, support and hard work of Ann. When the children were grown, and the work had been done, Ann and Gene moved onto the second phase of their lives as retirees and full-time grandparents. Instead of racing in early to open the stores, Nana and Popo, as they were lovingly called by their grandchildren, would instead go out to meet friends for coffee and breakfast. There was never a function or dance that you wouldn’t find them dancing at, and they always looked forward to the annual Narciso Martinez Conjunto Festival in downtown San Benito. Visitors were welcomed into their home with open arms, and many an afternoon was spent sipping coffee and playing various card games around the dining room table. Ann loved to crochet, and she would craft the most beautiful blankets and scarves for family and friends for every occasion. It is fitting, then, that in her passing, some of the most cherished items left to her family will serve to provide them with the warmth, comfort and love that Ann herself always provided. Ann instilled in all of her children, grandchildren and great-grandchildren several core values that remain valuable and influential in all of their lives to this very day. Of utmost importance was a devotion to her Catholic faith, as Ann and Gene faithfully attended mass on a weekly basis. As a devout Catholic, Ann looked forward to being reunited with her loving husband, Gene, in Heaven at the time of her passing. Ann also instilled the importance of family, teaching everyone that while friends and acquaintances may come and go, what is truly permanent – those who you could rely on at all times – is family. With her passing, that lesson is more valuable than ever to those of us here on Earth. She also taught us the importance of dedication and sacrifice, as she gave herself to her family until the day she passed. In the words of Albert Einstein, “Our death is not an end if we can live on in our children and the younger generation.” As we mourn the loss of our mother, grandmother, great-grandmother and friend, we cannot help but think back on what Ann has meant to us over the course of her 86 years. While Ann may not be physically here with us now, we know that she will live on in the acts, words and thoughts of her children, grandchildren, great-grandchildren and beyond. We are confident that she and Gene, along with all of the Angels and Saints in heaven, will lovingly guide and steer the Moody family moving forward. She is survived by her children Dorothy Garza (David), Jeannie Cisneros (Rudy), JoAnn Villarreal (Joe), Betty Winters (+Nathan), Mike Moody, Mark Moody. She also leaves behind 15 grandchildren and 12 great grandchildren. She was preceded in death by her husband Gene Moody and her daughter Catherine Moody. Rosary will be Tuesday, November 20th at 7pm at San Benito Funeral Home. Visitation Hours will be held from 5-7pm. Funeral will be Wednesday, November 21st at 10 am at Queen of the Universe Catholic Church in San Benito, Texas Burial will follow at Mont Meta Cemetery.